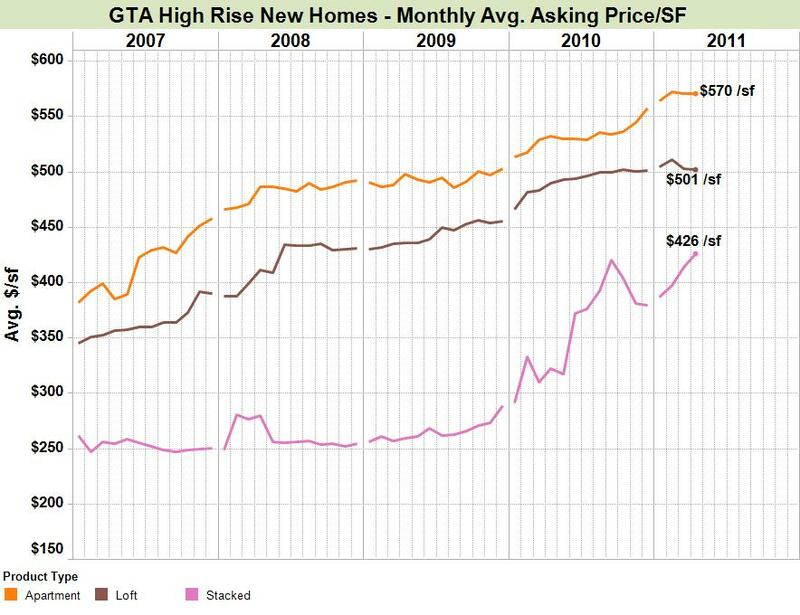 High rise new home pricing across the GTA was essentially flat from March to April for Apartments and Lofts but up 3.1% for Stacked Townhouses. As at the end of April 2011, available apartment condos were had an average asking price of $570/sf up 7.2% from April 2010. Likewise, condo loft units are currently priced at $501/sf up 2.4% from last year. And stacked townhouse units were up 32% over the last year – due, in part, to the varied nature and small number of projects on the market at any given time.